Organ Models There are 23 products. Digestive System, Natural Size. Relief Model, 3 Pc. 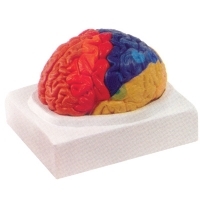 Brain Model, Nat Size 9Pc. With Artery. This life-sized model of the brain illustrates the blood vessels and other features in painstaking detail. Dissects into 9 parts: frontal and parietal lobes, temporal and occipital lobes, left and right cerebrum, cerebellum, and brain stem with arteries. Also includes basilar artery. On base. 16 x 18 x 16 cm. Weight: 1kg. 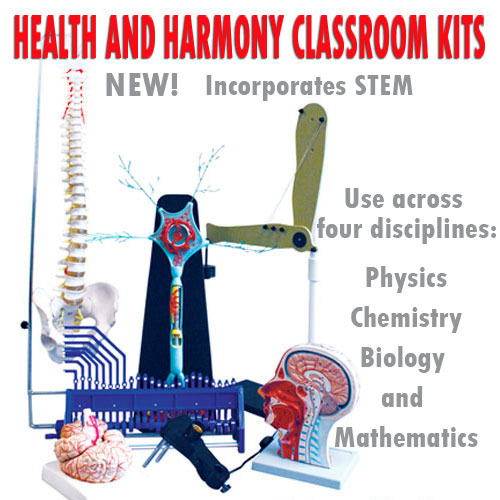 Brain Nerves Model 2 Pc. Autonomic, Model. 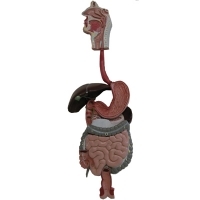 This detailed, enlarged model shows the 12 cranial nerves with collateral branches and autonomic nerves. Median section exposes upper respiratory tract and pharynx. Eyeball is removable for further study. Has numbered features. 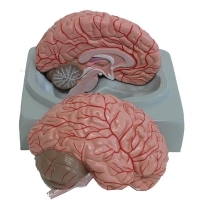 Brain Model, Regional, 2 Pc. Natural size, color-coded, 2 piece. 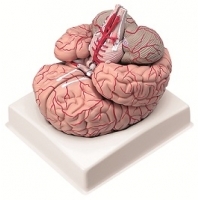 This life-sized model is in two pieces, with the different regions of the brain color-coded in distinct colors: frontal lobe, parietal lobe, occipital lobe, temporal lobe, motor cortex, somatosensory cortex, limbic cortex, cerebellum, and brain stem. 16 x 20 x 14 cm. Weight: 1.4kg. Brain Model, Left & Right,. With Arteries, 2 Pc. Shows the left and right cerebrum, cerebellum and brain stem with blood vessels. 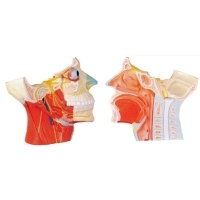 This life size model is divided medially along the sagittal plane. 16 x 20 x 14 cm. Weight: 1.4kg. Eye Model, 6X Mag 6 Pc. 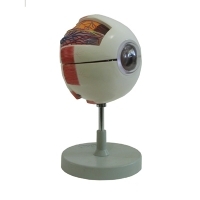 This classic model of the human eye has 6 parts and can be dissected along the horizontal plane to show detail inside: the cornea, iris, lens and muscular attachments on the sclera and part of the choroid. Vitreous body and half of the eyeball are removable. 16 x 17 x 26 cm. Weight: 1100 g.